Don’t be a stray and join us for Artwalk, 8/10 from 6-9pm, with Sam Douglas and his daughter, Rowyn! 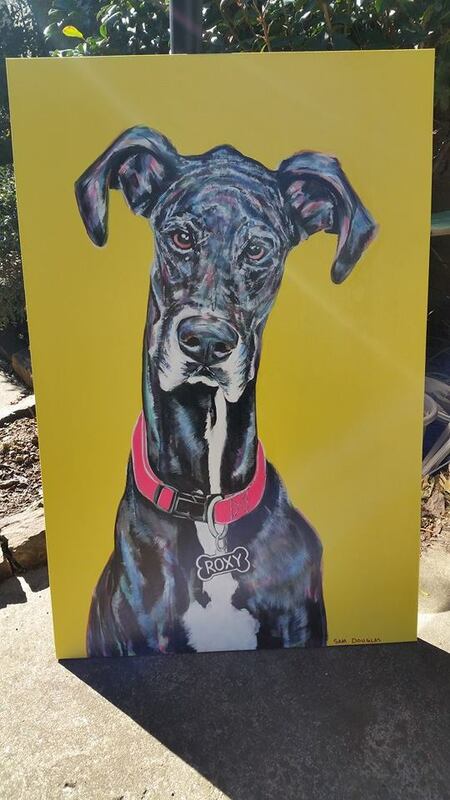 They will have a joint art show that will include pet themed portraits. We are teaming up to raise money for The Bella Foundation, selling raffle tickets to win your own pet portrait by Sam! Come by, enjoy a refreshment, check out some cool art by this father/daughter duo, and support a great cause! While you’re at it, check out Sam’s murals in @urbanalleyok ! We think you will love them as much as we do! ← Brent is in the hizzle! Piercings start at $30 and include basic jewelry and aftercare! Upgrades available!